John Bruton, Speaking to RTÉ’s Morning Ireland today. Former taoiseach John Bruton has called for the two-year Brexit negotiating period to be extended. Mr Bruton, who is also a former EU Ambassador to the United States, said the time limit is too short and any agreement reached will have to be ratified by the UK and EU parliaments, which also takes a lot of time. Speaking to RTÉ’s Morning Ireland, Mr Bruton said that pressure for negotiations is too great and that mistakes are inevitably made, when insufficient time is given to negotiations. Mr Bruton added that the time pressure is adding to a “fevered atmosphere” in British politics, with just over a year left before the negotiating period ends in March 2019. He warned that Ireland would suffer as much as the UK, if the right deal was not reached. Mr Bruton said there is a provision for the extension of the two-year negotiating period in Article 50. He said that there are some downsides to the idea of extending the period and it would have to be reached unanimously. However, he said the possibility of extending the period would allow for more rational discussion and a better outcome. Let me first try to explain why the handling of Brexit by the UK led to a crisis in Anglo-Irish relations. Treaties between nations are like contracts between individuals. They influence how each party behaves, towards one another and towards the rest of the world. While a contract or a treaty can be withdrawn from, there is a legitimate expectation that this will only be done with careful advance consideration of how this will affect the other parties to the treaty or contract. This is not just a legal expectation, but an expectation of the sort of civility that should apply in relations between people and nations. One also takes for granted that, if the withdrawing party to a contract wants a new or different contract with the same parties, it will say in advance what it wants that new relationship to be. Even now, Ireland has no clear idea what sort of relationship, compatible with the EU rules the UK helped make, the UK wants with the EU, and hence with Ireland. As the country most affected by Brexit, there is thus deep disappointment in Ireland that our neighbour the UK has not been able, in respect of Brexit, to live up to the normal expectations I have just outlined. Forty-four years ago, Ireland and the UK signed the same contract with one another, and with the seven other countries that then made up the European Common Market. We each renewed that contract several times, in the UK’s case with the sovereign approval of its parliament. We each expected that the others would continue to honour the contract and we shaped our institutions and our economies on that basis. 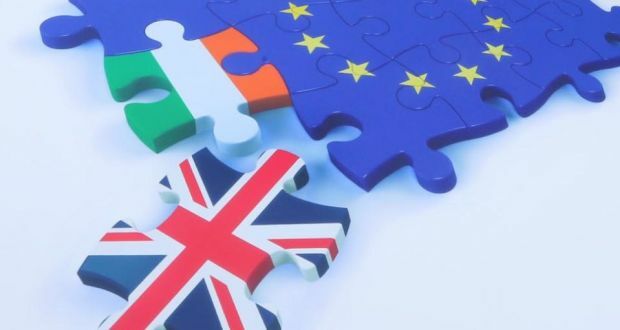 In particular, when Ireland and the United Kingdom negotiated the Belfast and St Andrews Agreements, to resolve the ongoing conflicts in and around Northern Ireland, we each did so on the unquestioned assumption that the UK would continue to be an EU member. We each assumed that the freedoms created by membership of the EU could continue to be used to strengthen relations between the two communities in Northern Ireland, between North and South, and between Ireland and Britain. The renegotiation and referendum process that was initiated by David Cameron, which has led to Brexit, seemed to us in Ireland to have been designed in a way that took no account of the obligations and expectations the UK had created in Belfast and at St Andrews. During the renegotiation phase, the Irish taoiseach, Enda Kenny, supported Cameron’s attempt to improve the special status the UK already had in the EU, even though some of the concessions the UK were given weren’t in Ireland’s interest. Irish people saw other problems with the process that led to Brexit. The complex UK/EU relationship was reduced to a simple “Leave” or “Remain” choice. While it was clear what “Remain” meant, no effort at all was made by the government sponsoring the referendum to say what sort of “Leave” it would choose. So “Leave” became a vehicle for fantasies and wishful thinking of the most egregious kind. Explanations of the choices between different forms of Brexit – such as on whether to stay in the customs union and the single market – were left over until the people had already voted. There was no deliberative process to inform public opinion, something one would have expected of the UK parliament, one of the oldest democratic deliberative bodies in the world. The referendum was not preceded by detailed green and white papers. In the absence of authoritative information, there was no informed debate about the impact of Brexit on the Irish border, and on hundreds of issues. It is only in the past week that the UK government has started to consider the sort of post-Brexit relationship it will ask for. In doing so, it will have to take account of the fact that the EU works because it is a single legal order, with a single system that makes, implements and adjudicates on the meaning of shared EU rules. The UK has a sovereign right to decide what it would like, but it cannot expect the EU to change its very nature, just to accommodate a country that is leaving. In preparing its proposal, the UK will need to take into account the Interlaken principles that govern EU relations with third countries, and the EU community customs code, both of which UK ministers helped to draft. When it has done this, the UK government can then compare the special position it already enjoys as a voting EU member, with what the EU will be in a position to offer it as a non-member. Then it can make an informed decision. We are each allowed to change our minds in our private lives if the issue is important enough. Nations might sometimes allow themselves the same privilege. At his meeting with Simon Coveney last week, the British Foreign Secretary, Boris Johnson, expressed enthusiasm about “digging into the detail” of the future EU/ UK relationship. It is a pity he did not dig into the detail, before his Prime Minister wrote her Article 50 letter, which set the clock ticking. Given that Brexit is a unilateral British decision, the first responsibility for spelling out how the British government’s decisions might affect the border in Ireland, and movement between Ireland and Britain, rested, and still rests, with the British government itself. The failure of the UK to do this has placed both the Irish Government, and the Democratic Unionist Party, in an invidious position. The nature of the border will be determined by the long term permanent relationship the UK will have with the EU. So far, apart from saying that it wants a “tailor made” deal between the UK and the EU, the UK has not set out any detail of what this relationship might look like. This is a fatal omission on the part of the UK and explains why the UK is in difficulty. One would have thought that, once it had decided to reject the customs union and the single market, which it did over a year ago, the UK government would have immediately worked out a detailed blueprint for the proposed new relationship it wanted with the EU, taking into account what it knows well are the fundamental parameters of all EU relationships with third countries. The UK knows what these parameters are because it had a hand in drawing them up. They were approved of by the EU Council of Ministers as far back as July 1978, with full UK participation and have been adhered to ever since. They are well understood by the British Foreign Office. They are known as the Interlaken principles. They were set out for the EU at a meeting in Interlaken between the EU and the countries of the European Free Trade Association. They were accepted by all as the basis for negotiating any relationship, short of EU membership, for the countries of EFTA, or for any other country. + a balance of benefits and obligations between the EU and the third country in question. These principles have been respected in all EU arrangements made since, with countries like Norway, Ukraine, Georgia, Switzerland, Canada, and Turkey. There is no way an exception from these principles can be made for the UK. After all, the UK is leaving the EU of its own free will. Any breach of the principles would be a precedent that would undermine the EU’s relationships with all other non member countries. It would set a precedent. It would reward a country for leaving the EU, and thus it would discourage any new applications. If the UK government had devoted serious time to thinking itself into the EU mind, before writing its fateful Article 50 letter , it would have seen all this. If the UK Government had worked up a blueprint of its own for UK/EU relations, that met, or at least attempted to meet, these Interlaken criteria, it would have flagged all the negotiating problems the UK negotiators are now facing. If it had done this, it would have seen, for example, that refusing the jurisdiction of the ECJ, and attempting some parallel bilateral judicial arrangement to arbitrate EU/UK disputes, would have broken the second Interlaken principle (autonomy of EU decision making). It would have seen that any attempt by the UK to opt into the bits of the single market that it liked, but not others, would offend against the third one (balance). Some people in UK politics knew this all along. I heard a prominent pro Brexit Minister admit a couple of weeks ago that the EU single market is a “legal order”, and that a country cannot be” half in and half out of it”. That is the way the Single Market was designed by the UK and other EU countries when it was set up. The UK knows the rules, because it helped write them. But it will still try to blame other EU countries and the Commission for applying the rules the UK itself helped to write, when it was an EU member. The nature of the Single market was concisely explained, in a UK newspaper last week, by the former Director General of the EU Council Legal Service, Jean Claude Piris, as follows. Other countries, that have never been EU members, and are trying to negotiate access to the EU market, might be excused for not understanding these basic principles of EU policy, but the UK cannot plead this excuse, because the UK was at the table when these rules were laid down. Once the UK “takes back control”, it’s norms and standards for goods and services will inevitably diverge from EU standards. That will mean customs controls and inspections. It does not much matter whether these controls are on the border itself or not, they will involve delays, bureaucracy, and extra costs. The friction may or may not be at the border itself, but there will be plenty of friction! Controls, of the kind that will have to be introduced, will create glorious new opportunities for organised crime, which is an entirely foreseeable consequence of the UK government choices. Meanwhile the UK is taking itself out of the European Arrest Warrant! For cultural and historical reasons, the UK has never allowed itself to understand the EU. It is not now ready for Brexit. It needs time to think out properly about what it wants, and what it is giving up. That is why I have suggested that a six year time frame for the Withdrawal negotiation replace the two years allowed in Article 50. That could be agreed by unanimous consent of the 28 EU states. It would give everyone the breathing space necessary to see where they are going, and make sure it really is where they want to go. Very slowly, the UK public is beginning to learn the implications of the decision they took to leave the EU. Some of the realities were revealed in the contrasting evidence given last week by the Brexit Secretary of State, David Davis, to one Committee of the House of Commons, and by Sir Ivan Rogers, recent former UK Ambassador to the EU, to another Committee. The contrast in the two testimonies was remarkable. David Davis said that he believed the UK could wrap up a Customs and Trade deal with the EU before March 2019. Pressed by the DUP’s Sammy Wilson, he said that “No Deal” was still an option. “No Deal” would involve the immediate imposition of severe border controls in Ireland from 1 April 2019. Sammy Wilson gave the strong impression that he did not particularly care about this and that he wanted “No Deal” to remain a live option, presumably in the hope that it could be used b the UK as a threat. There was no Nationalist MP present to point out the devastating effects “no deal” would have on border communities, both unionist and nationalist. This is because elected Sinn Fein MPs refuse to take their seats. Their absence leaves “No Deal” tolerant MPs, like Sammy Wilson, a clear field to present a false impression of the true interests of the people of Northern Ireland. Sinn Fein ought also ask themselves if the issues on which they are delaying the re-establishment of the Northern Executive are more important to their people than Brexit. Since the Good Friday Agreement, abstentionism is an out of date policy and undemocratic policy. It deprives the nationalist inclined people in Northern Ireland of a voice or vote when key decisions on Brexit, affecting their livelihoods, are being taken in Westminster. Sinn Fein MPs are staying away, even though their votes could swing the decision on key votes in Westminster on the Bill that will take their constituents out of the EU, and deepen the partition of Ireland. Sir Ivan Rogers, in his testimony, told the MPs that a “no Deal” scenario would be very bad for the Irish economy. This was because 80% of Irish exports go to market either through, or to, the UK. A hard Brexit, that involved heavy controls at ports and border posts, would be devastating for Irish trade. In contrast to Secretary of State Davis, Sir Ivan Rogers said in his testimony that, far from a UK/EU trade deal being wrapped up by March 2019, negotiations on the detailed contents of such a deal could not even START until the UK had actually left the EU, in other words not until April 2019! He went on to point out that the “Deep and Comprehensive Trade Agreement” that the UK would have to negotiate, in substitution or EU membership, would probably have to run to thousands of pages, every line of which would have to be haggled over with the Commission and with the 27 remaining EU states. This negotiation of a detailed Trade Agreement would have to be foreshadowed in Framework for future relations document, to be agreed between the UK and the EU, alongside the divorce agreement. But the UK government is not in a position to agree within itself on what it would want that Framework to contain. It cannot even discuss the question at Cabinet meetings because it would split the Tory Party irrevocably. Sir Ivan speculated that, because of this, it would, therefore, be the EU side that would draw up the first draft of the Framework, on which the eventual Trade Deal would be based. But even that can only happen if the UK had agreed to pay its share of all bills incurred by the EU while the UK was still a voting member. That would add £13 billion to UK liabilities. There is likely to be a big bust up over this money issue in December. Assuming that is overcome, Sir Ivan said that there was a huge difference between the sort of trade agreement that might eventually be offered to the UK, and the access the UK would have had if it stayed in the Single Market. The Single Market covers standards as well as tariffs. 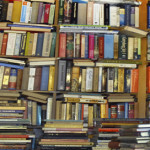 It has, embedded and agreed, mechanisms for making, enforcing, and adjudicating on the meaning of, those standards. Once the UK leaves the Single Market, the compliance of UK originating goods and services with EU standards could no longer be assumed by EU countries, like Ireland. This would create immediate new barriers to commerce of all kinds. It could even apply to acceptance of the safety of aircraft owned by UK based airlines. UK court judgments would no longer be automatically enforced in the EU, and extradition would become more difficult. This makes the casual attitude of the DUP and Sammy Wilson to the possibility of “no Deal” all the harder to understand, given the DUP’s long standing concerns about paramilitarism. In his testimony, David Davis said that his Department had done studies of the impact of Brexit on 57 different sectors of the UK economy. He said he would not publish these because to do so might “weaken the UK’s negotiating position” with the EU. This means that the UK Parliament and the public are being kept in the dark about the known consequences of decisions they are taking, or are being taken on their behalf. And there is no MP, and no Executive, from Northern Ireland there to challenge this! The EU 27 are now beginning work on the sort of Framework agreement it might offer the UK, if the UK first comes forward with adequate proposals on money, EU citizens rights, and the Irish border. Drawing up the Framework to offer the UK is going to be exceptionally difficult work for the EU, including Ireland. Preserving the integrity of the EU Single Market, and all the investment our continuing membership of it has brought to Ireland, will have to be balanced against access to the UK market and making practical arrangements to take account that the UK and Ireland are beside one another and have a long and porous border. The trade offs will be really difficult, but it would appear Ireland is better prepared for the discussion than are our neighbours in the UK. “ a fatal space has opened, like that between a liner and the dock, which is suddenly too wide to leap; everything is still present, visible, but it cannot be regained”. In 2017, the UK has decided to leave, but is still fully in the EU. We are living the past, but it is over. Since June 2016, a fatal space between the UK and the EU has opened, and is getting wider every day. The captain of liner feels obliged by a majority of the passengers to leave port, but she is unclear where her ship might dock next. The decision of the majority of the passengers is all that matters to her now. 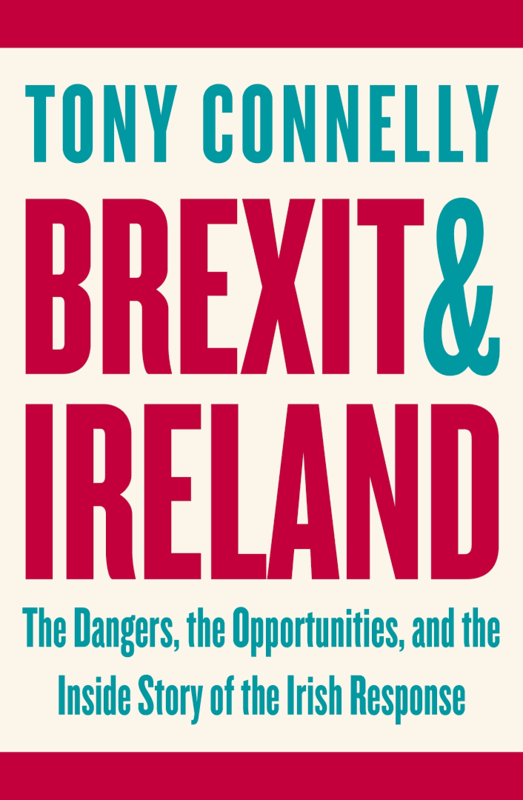 Tony Connelly’s book thoroughly explores all the possible consequences of Brexit, with particular reference to Ireland. These will, in some measure, affect every country in the EU. The book deserves to be read in every one of the 28 EU capitals and by everyone whose livelihood depends on trade relations with the EU or the UK. But the effects of Brexit will, of course, be most intensely felt in Ireland. Geography matters. After Brexit, Ireland will be geographically isolated from the rest of the EU. Ireland has to export 90% of the food it produces, and 43% of that food goes to the UK. Meanwhile, Ireland imports virtually all its energy via pipelines and cables coming through or from the UK. As Connelly puts it, Ireland feeds Britain during the day, while Britain keeps Ireland warm at night! All this interdependence would not be possible without agreed standards, and agreed systems for enforcing and adjudicating upon, those standards. These all emanate from the EU and the European Court of Justice (ECJ). The same applies to cross border arrangements for chemicals, aviation, the sale of television programmes, and even transporting horses to and from race meetings. Once the UK “takes back control” from the EU, and rejects a common adjudication system under the ECJ, the basis of this profitable, and uniquely convenient, mutual traffic between the UK and Ireland, will erode. Tony Connelly examines how this process will affect every part o the Irish economy, from medical device makers whose UK suppliers will no longer be EU certified, to the mushroom exporters whose perishable products could ace fatal delays getting to UK supermarkets in time. This book is particularly good in describing the effect of Brexit on the dairy and beef sectors. It is no mere desk exercise. The author has spoken directly to those involved in each sector. Half the “at risk” jobs in the food sector are in parts of Ireland where incomes are well below the EU average, even though Ireland itself is above that average. In Ireland, the effects of Brexit will aggravate existing inequalities. Outside the food sector, there is more room to adjust. 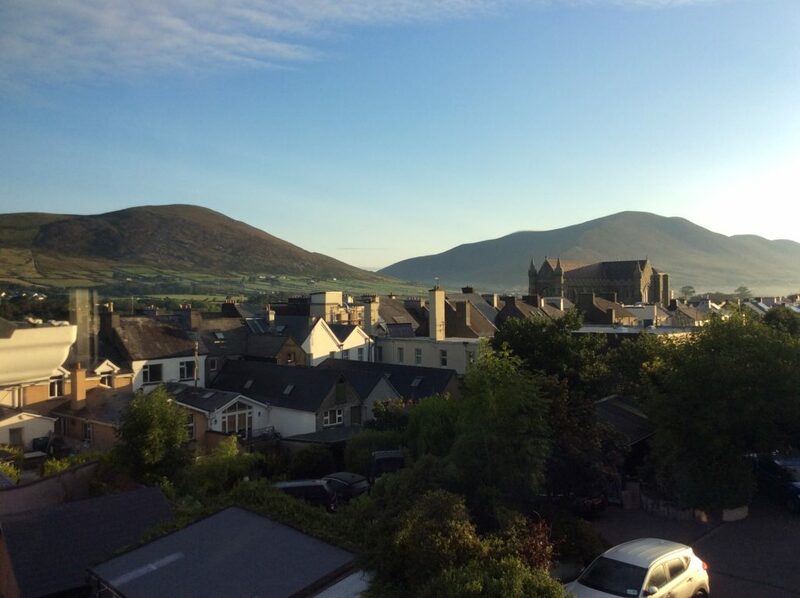 Connelly cites the example of a Wicklow software business which has been able to reduce its export dependence on the UK market from 70%, to a mere 15%…in just one year. Meanwhile, based on numerous interviews, he traces the reaction of the Irish government to Brexit. Initially, there was a focus on discussions with the British, but it soon became clear that there was a limit to the usefulness of this. The UK did not have a plan. The collective mind of the UK Civil service did not fully grasp the relationship between the Good Friday Agreement and membership of the EU Single Market by both Ireland and the UK. This gulf, between the agreed Tory rhetoric about Brexit, and the realities on the island of Ireland was worsened by UK General Election called by Theresa May. Virtually all the MPs, elected by Northern Irish constituencies, either refused to take their seats or are now committed to a deal to support the Tory government on all Brexit issues. Although legally still part of the UK, Northern Ireland has no effective voice or vote, in Westminster, on the Brexit legislation. The Irish government has inevitably turned to its fellow EU member states, and to the European Commission, to find a way to mitigate the damage of Brexit. Connelly describes the intense contact between every Irish interest group and the Barnier negotiating team. Barnier understands the Irish issues thoroughly. But that does not mean he can provide reassuring answers. “Everything about the reality, from the EU’s non negotiable Customs Code, to Britain’s determination to do trade deals around the globe, to the phyto sanitary (disease control) requirements, all scream “hard border”. According to Theresa May, It remains “overwhelmingly and compellingly” in Britain’s interest that the EU succeed. But the EU is a voluntary Union, and it can only continue to exist if there is willing implementation of agreed rules. As this book shows, the UK Brexit policy is testing that, in a reckless way. I am convinced that the only way to avoid a really hard Brexit is for the time for the negotiation under Article 50 to be increased from 2 to 6 years. Yesterday in Parliament, the UK Prime Minister said that a transition period only made sense if there was an agreed concept of what one was transitioning towards. It is impossible for an agreement to be reached on that concept in the next twelve month, especially as there is no agreement within the UK government on what they are looking for! Her statement evoked surprise on the part of people who should have known better. It was fundamentally reckless of the UK Government to write its legally binding Article 50 letter, without having first agreed within itself on the outline of a viable deal for the UK, that would enable to EU to maintain the integrity of the EU Single Market. Instead, the UK wrote the letter, and then proceeded to rule out all the viable options that might achieve this, like the Norway model, or the UK remaining in the Customs Union. All ruled out without proper examination or public debate. Meanwhile, studies that the UK Government itself has done on the impact of Brexit on individual sectors of the UK economy are being concealed from the public. 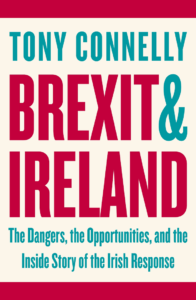 This recklessness of the UK Government will inflict immense collateral damage on Ireland, as Tony Connelly’s book shows in painful detail. As there are no “good” solutions to the Brexit conundrum, it’s time to focus on the practicality of the least “bad” one. 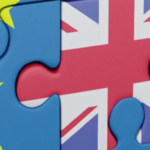 It is becoming clearer by the day that even if “sufficient progress” is made on a divorce agreement by December this year, the time remaining for negotiating and ratifying a “transition deal” will prove insufficient. If there is not a rapid radical shift in the framework of the Brexit negotiations, the process will die unresolved on March 29th 2019. This will lead inexorably to a deep crisis that is as predictable and therefore unnecessary. It will undoubtedly cause considerable damage to the UK, but also Britain to hurt the European Union as well. It is in this context that the ideas expressed recently in Brussels by the former Irish Prime Minister John Bruton deserve careful consideration. Recognizing that there are no “good” solutions to the Brexit conundrum, he focuses on the practicality of the least “bad” one. His proposal is to trigger immediately the clause of Article 50 of the Treaty that allows prolonging the initial two year negotiating period (starting from the official notification on 29 March, 2017) by a further 4 years (until 29 March, 2023). It requires the unanimous approval of the EU 27 (and of the UK) as well as a majority vote by the European Parliament. • It will be difficult for the Brexiteers to swallow as it means a painful delay in – and a possible reversal of – the government’s commitment to implement the results of the referendum. • It risks splitting the conservative party, leading to a political crisis and open the way for a Labor government. (This might happen anyway, but would become unmanageable if constrained by the current negotiating timetable). • It postpones for four more years any possibility for the UK to negotiate trade deals with third countries. • It might prove difficult for the European Parliament (and the 28 Members) to envisage the participation of the UK in the spring 2019 European Parliamentary elections (though there is no legal impediment if the UK remains a member). • It might interfere significantly with other EU priorities, such as the need for carrying out comprehensive reforms, in particular if the UK is in a position to obstruct such initiatives. • It removes immediately the time pressure allowing a more serene atmosphere for continuing negotiations and a more realistic timeframe to conclude them. • It allows the UK the necessary time to recruit and train the additional staff it will require to assume tasks previously carried out by the EU, which appears extremely difficult to carry out under the presently defined timetable. • Removing the need for a formal negotiated and ratified “transition agreement” will save a significant amount of time and effort. Indeed, even if the terms of a transition are agreed, it does not provide any assurances of a successful outcome concerning the future relationship, thus prolonging the uncertainty and encouraging actors to take “irreversible” decisions sooner. • The UK should be granted the formal option to withdraw “unilaterally” at any time during the negotiations, the Article. 50 notification in order to remain an EU Member after 29 March, 2023. • In exchange the UK would agree, if it exercised its option, to forgo its budget rebate, join Schengen and abandon all of its other opt-outs (including from the Eurozone). Furthermore it would undertake not to trigger Article.50 for a minimum period (15-20 years). • Approval of the deal as negotiated with the EU. • Withdrawal from the EU rejecting the proposed deal. • Exercise of the UK’s option to withdraw the Article. 50 notification in full knowledge of the consequences (see above). The third option should be weighed carefully in the light of the problems associated with leaving the EU, the negative consequences of which have so far been muted but are expected to increase significantly as time goes by. Within the reality of an interdependent multipolar world, it boils down to a choice between exercising a largely “virtual independent sovereignty” and sharing with the other Member States a truly “effective joint sovereignty” in promoting the highly correlated interests of Europe’s citizens on the world stage. The proposed procedure would also allow the feelings of abuse that have been hurled by both Brexiteers and Remainers at each other, to heal. 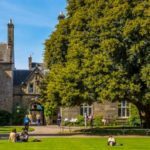 It would provide a solid base for facing the future – whether in or out of the EU – with a reunited sense of belonging, overcoming the deep splits that have appeared between generations as well as between various parts of the United Kingdom. A fully informed consultation of the population would restore the necessary balance between “democracy,” “the rule of law” and “human rights” which are each indissociably intertwined in the pursuit of “freedom” which, as was so well expressed recently by Commissioner Frans Timmermans in relation to the events in Catalonia, form the bedrock of the Union’s values. An additional benefit of this approach is to put at the center of the discussions the interests of millions of citizens, be it those residing in each other’s territory (whose status will remain in jeopardy until a final agreement is reached) and those – both nationals and aliens – employed by companies whose business is affected by Brexit. It should be the main purpose of any self-respecting government to put the interests of its citizens ahead of dogmatic or ideological party political prejudices or interests. 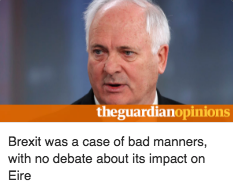 Rather than pinning one’s hope on the collapse of the EU as a weak ex post justification for Brexit, it is high time for those responsible for the future of the United Kingdom to think of serious “damage control” and consider calmly solutions, such as the one presented by John Bruton. If it appears initially to be totally unacceptable, it provides, however, a sensible way of implementing the democratically expressed views of British citizens. 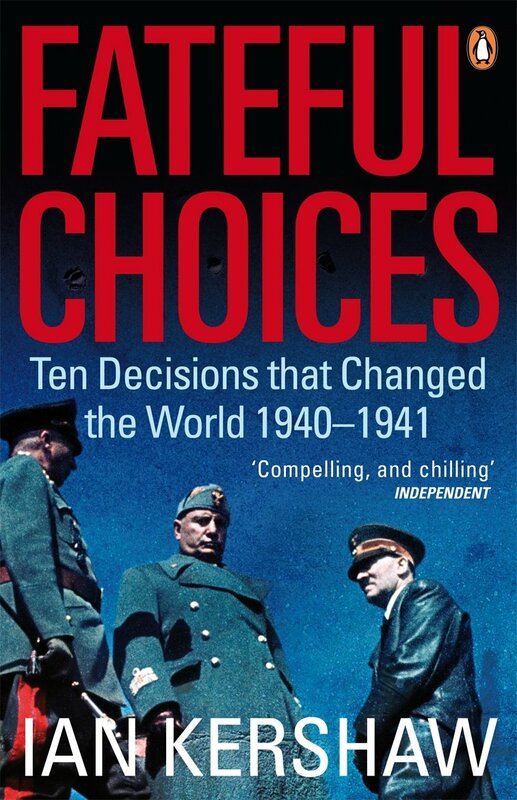 “The fateful choices that were made were not predetermined or axiomatic. But they did reflect the sort of political system that produced them.”. 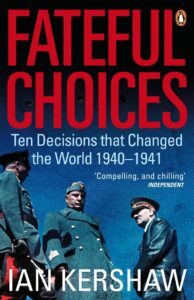 A Global War was not anyone’s preferred option, but a combination of ideology, a fear of being encircled or pre empted, and miscalculation of the intentions or reactions of others, gave the world the most destructive war in human history. Similar blind forces are in play in the Brexit negotiation. 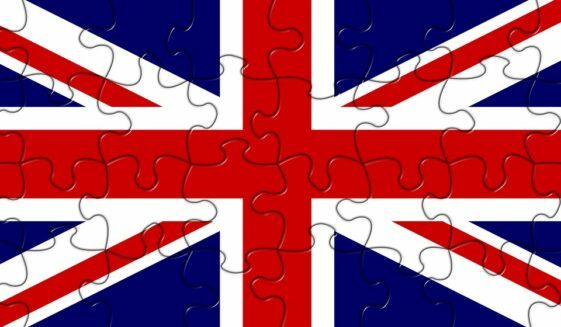 The current UK political system, and the anxieties and obsessions it has generated, determine the UK position on Brexit. This expresses itself in an artificially inflexible, and brittle, interpretation of the meaning of the 2016 Referendum result. The UK Government has so far been unable to convert that into a detailed, legally viable, and constructive, outline of its desired future relationship with the EU. If it got into detail, the disagreement between Cabinet members is so deep that the Conservative Party would split and the Government would fall. The Labour opposition has a similar problem. 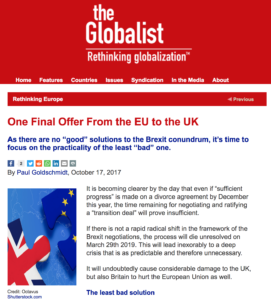 It suits both of them that the EU side in the negotiation is insisting that substantial progress must be made on other issues, before negotiations about the future relations between the EU and the UK begin, because if the UK Government had to set out a detailed position on the future relationship, it is liable to split. UK party and public opinion has been polarised and is unready for compromise. The Conservative Party is consumed with its leadership struggle and cannot be relied upon to make a deal that will stick. The Foreign Secretary’s four ”red lines” make compromise impossible. Likewise the EU political system determines the EU’s approach. There is quite understandable annoyance that the UK, for whom so many special deals were made in the past, now wants to leave the Union it freely joined over 40 years ago. The EU negotiating position is necessarily inflexible because it has to be determined by 27 countries. It can only be changed by consensus among them, and that can only be arrived at very slowly. Yet the time limit set in Article 50 of the EU Treaty is very short. It will require immense speed of negotiation, on a vast range of difficult questions, not only between the EU and the UK, but also potentially with the World Trade Organisation and perhaps with EFTA, which the UK would have to join if it wants to be in the European Economic Area, like Norway. All this will have to be done between January and November of 2018. Both sides in this negotiation should ask themselves this question……Are they at risk of finding themselves on rigid tramlines, heading straight for a cliff, and if so, should some rail sidings be put in place, into which the two trains might pull, for a moment of reflection, before they go over the edge in March 2019? A former Judge in the European Court of Justice, Franklin Dehousse recently argued that separating trade issues from those concerning the Irish border artificially disconnected connected topics, and thus limited the possibility of constructive tradeoffs. But he also insisted that the UK must first come up with “precise proposals on all withdrawal matters”. He is right. There is no point in the UK asking for the EU to move on to trade matters, unless and until the UK itself is capable of spelling out in substantial detail what it wants, and says exactly what trade, environmental, and consumer safety policies it will follow post Brexit. It is because the UK is unable even to say what it wants, in the long term, on these issues, that there has been no progress on discussing Irish border issues. Meanwhile the UK Trade Policy Observatory (UKTPO), in an article by Professors Alan Winters, Peter Holmes and Erika Szyscak, has suggested that Theresa May’s idea of a “transition” or “implementation” period of two years, after the UK had left the EU, might be very difficult to implement. If so, the UK will crash out of the EU in March 2019. They saw several problems with Theresa May’s transition idea. They are not trivial issues..
One was that, when the UK leaves the EU in March 2019, it will also be automatically out of the EU Customs Union too. Therefore they claimed it would have to negotiate a new temporary Customs Union with the EU, for the transition period. It would have to notify the WTO of this new temporary Customs Union, which could potentially lead to protracted negotiations with WTO partners. The UK and EU would also have to agree on how all EU Regulations and Directives would apply in the UK during the transition period, with complete certainty on how mutual recognition of testing and certification, and the free mobility of labour, would work. According to the UKTPO authors, the status of such an agreement under EU law would not be certain, but because it would cover issues on which EU member states retain competence. This might mean that the transition agreement itself might require ratification by all EU member states too. That would take time, and meanwhile the UK and its EU trade partners would be in limbo. The UK might be already out of the EU, while its transition deal had not yet been ratified and was inoperable. Given the delays ratifying the EU/Canada deal, which got bogged down in the politics of the French speaking part of Belgium, this is a daunting prospect. Imagine going through all that for deal that might only last two years, and then going through the same process ALL OVER AGAIN for the final deal! So negotiating and ratifying a transition deal could be almost as difficult as negotiating the final permanent deal! The UK needs to engage itself seriously with the complexities of Brexit. If it looks at all these complexities thoroughly, sense is that it may then conclude that, despite Boris Johnson’s anxiety to leave quickly, the time limits are far too severe and that more time is needed. If the UK was wise, it would ask its EU partners to extend the negotiation time from two years, to (say) six years. That extension of the negotiating period could be done by unanimous agreement among the 27 EU states and Britain. With a longer negotiation period, the UK would need no transition deal and would remain a member of the EU, until the final exit deal was done. There would be only one deal to negotiate and ratify, the final deal. There are really no good options here. .It would be politically difficult for any UK government to ask for an extension of the negotiation time. “Leave” supporters would suspect betrayal. There would be very deep reluctance on the EU side to grant such a request.. Some EU states would feel that extending the period was being far too easy on the UK, and that the UK needed a reality check. Others would argue prolongation of the exit negotiation might destabilise other EU members, and distract the EU from other urgent work. These are valid objections, but they are arguably less damaging than the real likelihood that the UK will crash out of the EU without any deal. Lengthening the period to six years would, however, allow the UK electorate to consider, in a more informed way, the full implications of the course they are following. The present tight time frame minimises the opportunity for creative thought. Instead, it maximises the influence of blind bureaucratic and political forces. It increases the likelihood of miscalculation, and of the UK leaving the EU with no deal at all. That would be very bad for Ireland, or for the EU as a whole. I hope more negotiating time can be agreed. If not, the tempo of the negotiation must be immediately and dramatically increased. Unfortunately, there is little sign that the current UK government, the originator of Brexit, sees this. I have spent the last two weeks reading a lot about the life of Daniel O Connell. He is a man for whom I have always felt an instinctive affection. In his first days as an MP, after Catholic Emancipation allowed him to take his seat, he presented a petition from Cork against slavery in the colonies. He suggested abolishing the practice of arresting people for debt without judicial procedure, and he spoke in favour of a petition supporting the rights of Jews (who, like Catholics, had been denied the right to be MPs). He favoured the secret ballot and the reform of Parliament. He fought against the remaining duties on Irish exports of malt, coal and paper to Britain. He would not have been a supporter of Brexit. Although he was not familiar with Ulster, he did try to reach out to Loyalists, even going so far as drinking a toast to King William at a dinner in Drogheda, a risky thing to do at any time! He made big financial sacrifices for the causes in which he believed. He could have taken up high legal office, forinstance as Master of the Rolls, a highly remunerative legal office, but chose to stay in Parliament, as an unpaid MP, to fight on for the Repeal of the Union. Like any good politician, he was assiduous in answering his correspondence. At one stage he was answering up to 200 letters a day, and, before he became an MP in 1829, the postage alone cost him as much as £10 per day, at a time when a £ was infinitely more valuable than it is today. He had a deep aversion to politically motivated violence, an issue on which he differed with Thomas Davis and others who romanticised the 1798 Rebellion. “not for all the universe consent to the effusion of a single drop of human blood except my own”. It was because of his fear of the loss of life that he called off the monster meeting at Clontarf, a decision which the Young Ireland leaders consented to at the time, but subsequently criticised. “plains of Clontarf being, for a second time, saturated with blood”. He knew violence, once commenced, soon gets beyond the control of its initiators, as we learned in the 1916 to 1923 period. He believed in passive resistance, and was innovative in devising ways to use it. He pioneered mass meetings, and parish level political organisation. In that sense, he was ahead of the rest of Europe. He was the founder of mass political participation, and this was recognised in other countries at the time. Late in his career, in order to promote the cause of Repeal of the Union between Ireland and Britain, he suggested setting up a shadow parliament in Dublin and an Irish system of arbitration outside the UK dominated courts system. In 1919, both ideas that were revived by Sinn Fein and the IRB. Unfortunately, they were accompanied, at that later time, by physical violence, which defeated their purpose completely. As I said at the outset, O Connell was an internationalist. He worked for human rights across the globe. His opposition to human slavery was not confined to the colonies of the British Empire. He opposed slavery in the United States, unlike the Young Irelander, John Mitchell, who subsequently actively supported it. His opposition to slavery in the United States was deeply appreciated by those agitating within the US itself, for the abolition of slavery. He refused political donations from slaveholders in the US. He attacked the attempt to establish Texas as an independent slave owning state seceding from Mexico. He criticised George Washington for owning slaves. He clashed with the, Irish born, Catholic Bishop Hughes of New York who criticised him for his “intolerable interference in American affairs”. O Connell’s most recent biographer, Patrick Geoghegan says his declarations on slavery were a key factor in alienating the Young Irelanders, who believed the Repeal Association should only address domestic, not foreign, affairs. I believe that, to be true to O Connell’s legacy, Irish people in the twenty first century, must take their share of responsibility for facing up to the big international moral issues of our time. They must not confine their concern to their “own green Ireland”. If O Connell could speak to us today he would remind us that we are a relatively well off country. I read recently that if a person is earning more than 34000 euros a year, they are in the top one percent in the world in terms of income! As in O Connell’s case with slavery, facing up to big moral questions has costs. These moral issues of our time include climate change, and the drought, starvation and forced migration it is bringing in its wake in Africa. Just as sophisticated and pragmatic arguments were advanced in the 19th century to postpone the abolition of slavery, sophisticated and pragmatic arguments are advanced today for postponing action on climate change. Action on climate change, here or in the United States, could indeed damage competitiveness of some parts of the Irish or the American economies, just as abolition of slavery damaged the competitiveness of the cotton states of the US over 100 years ago. It could be argued that the labour intensive cotton economy of the southern states would have been impossible without the cheap labour provided by slaves. Likewise the mass migration that has been caused, at least in part, by climate change will cause difficulties in the societies in which migrants arrive, just as the mass migration of former slaves to the northern cities of the US caused problems, including race riots, in the cities of the northern US from the 1860’s up to the present day. These issues are still with us. Migration, and the challenges it can cause for countries in Europe, are issues to which I would like to turn to now. Let us put it in context. Europe’s population is declining. Its birth rate is 1.6. A birth rate of 2.1 would be needed to maintain the population. I heard it said recently that, in the next 20 years, on present trends (without immigration), Europe’s population will decline faster than at any time since the Black Death in the 14th century. It is possible that immigration will belie that prediction. But, as we know, some ageing European countries have a difficulty in accepting immigrants with different ethnic and religious backgrounds. Germany is a notable exception. Our nearest neighbour is not. Meanwhile, in Africa the available workforce is expanding rapidly. Over half of the prospective population growth in the world in the next thirty years will be in Africa. But the African economies are creating only one job for every three young people reaching working age. That explains the surge of emigration in Africa, a lot of which is going to other African countries. Europe’s population is getting older, partly because it is living longer. The average age in Europe is 40, whereas the average age in Africa is 20. By 2030, without immigration, the German working age population was set to decline by one sixth. I heard one economist respond recently, when people complained to him that Europe’s growth rate had not returned to the level of the 1990’s, that present growth rates were as high as they could reasonably be expected to be, given that older populations naturally produce and consume less, than younger ones do. By 2050, the public pension systems of most European countries will go broke for lack of sufficient new contributors. Older populations have less energy, are more risk averse, and eventually retire from work altogether. So it should not surprise us that the ageing of a society slows that society’s economic growth rate. But that obvious fact is rarely mentioned in economic commentary. This leads to unrealistic expectations, foolish promises, inevitable disappointment, and eventually even to disillusionment with democracy. It seems to me that the European countries that do the best job in including immigrants as productive members of the local community, are the countries that will do best economically, and will be best able to afford good health and pensions for their older citizens when they need it. I fear many older voters in Europe do not see that as clearly as they should. 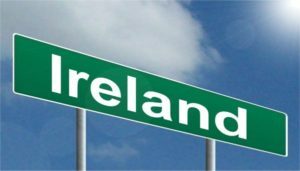 Ireland is doing well in regard to providing opportunities for new immigrants at the moment. Our historic experience of emigration enables us to understand the intense loneliness of the recent immigrant. The presence of a large number of refugees from Ballaghadereen, at the recent All Ireland quarter Final between Mayo and Roscommon, is a sign of a great local effort at positive integration. Italy is a country that is being required to absorb a very large number of African immigrants just now. But Italy is also a country with one of Europe’s lowest birth rates and historically poorest rates of economic growth. If Italy can make the recently arrived immigrant into productive Italian citizens it may turn a problem into an opportunity. Spain is also a country for whom immigration can be an opportunity. We are all too well aware of the criminal attacks in Catalonia, but there are many examples of small rural communities in Spain making seasonal agricultural workers from Morocco welcome in their homes, and integrating them in local life. Immigrants have kept villages, that might otherwise have been abandoned, alive. It is a big challenge to integrate people with radically different religious and ethnic backgrounds and build a new tolerant and cooperative society with a sense of mutual solidarity. This is made more difficult by the segregation into ghettoes that arises because of the way the housing market operates in big cities, where people tend to live if different suburbs depending on their income and status. Rural societies may be better at integration because they are smaller scale, and segregation in daily life is less possible. Innovative Government intervention may be needed to prevent ghettoisation, and to provide natural opportunities for people of different ethnicities and religions to meet, and have a good time together. The European Agency for Fundamental Rights deals with integration in a recent report, but its focus is on bureaucracy led action plans, and it contains few examples of successful community led initiatives are cited. Good examples are needed to give hope. I am convinced that, one way or another, European society will become much more multi ethnic in the next 40 years, and that integration will be a challenge that will need to be faced at every level of society, not just at the level of the state or local authorities. It will be everybody’s business. Sports organisations and religious communities have the greatest potential to integrate new arrivals. Some might think that religion is likely to be a divisive force as far as immigration is concerned. I disagree. Some the best work being done in Germany to integrate Muslim refugees into German life is being done by Christian organisations, whose members see the welcoming of strangers in need, as a charitable imperative of their own Christian faith. Churches have a flexibility that bureaucracies can never attain. People who are confident in their own faith have ease in working with people whose faith is different. Of course, not everybody will become integrated. We need to try to understand the motivation of those who left European countries to join ISIS. I understand that a high proportion of the ISIS recruits are young people who, until recently, had not been active observant Muslims but were of another faith, of no faith at all, or just indifferent. Many were recruited in prison. The zeal of the recent convert can be a dangerous thing. This makes the case that proper religious education, as part of a good general education, is something socially valuable, in that it enables young people to make careful and informed judgement about religious matters, as they mature into adulthood. It is part of a wider problem. Young people, of all ethnicities in some countries, have become alienated from democratic systems of government. They may either not vote at all, or vote flippantly. As a proportion of their income, younger people get fewer benefits from the state, and pay proportionately more taxes to it , than do older generations. Among the benefits used disproportionately by older people are state subsidized pensions and healthcare. For example, it is because of its generous earnings related state pension system, and its excellent health service, that the bulk of social spending in France actually goes to those with higher than average incomes! Older people are not always wise in the political choices they make. Older people in the UK were among the strongest supporters of Brexit, allegedly because of an aversion to immigration. Yet the largest support for Brexit was found in areas that had had the least recent immigration. The continuance of present levels of support for older people’s social services actually depends on the taxes and productive work of younger people, many of whom will have to be immigrants, because in most European countries there will simply not be enough native young people to pay the taxes needed to sustain the current levels of support for older retired people. This problem is not going to ease. Ireland’s national debt is 183 billion euros . But its eventual contingent liability for PRSI and public service pensions comes to 422 billion euros, which is not included in the national debt. This contingent liability will be at its most onerous around 2050, which is when those now getting their first job will hope to be at the top of the salary scale. The shortfall will be three times as great in 2050 as it is today. On the other hand, it may prove to be an underestimate, if we have an enlightened and workable immigration policy, and the age imbalance is rectified by an influx of non Irish born people who will, because they are working here, be paying Irish taxes. Daniel O Connell was widely admired across Europe. In the month before he died , he set out for Rome , as a pilgrim hoping to see the Pope before he passed away. All along his journey through France, he was greeted by substantial crowds. He did not make it to Rome. He died in Genoa . I was in Genoa last week and saw the house on the Via al Ponte Reale, near the port, where O Connell died. It is now a bar. It is a tribute to the esteem in which he was held that , not long after his death, a fine plaque was erected, with a representation of O Connell by the sculptor Federico Fabiano. O Connell was long remembered in Genoa because, 50 years after he died, an additional plaque was erected by the Catholics of Genoa remembering his work for religious liberty. I doubt if any Irish politician since then has enjoyed such a positive reputation in Europe, as Daniel O Connell did. As I expect you will hear tomorrow from Paul Gallagher SC, this was partly because of O Connell’s reputation as a lawyer, who could use the law to rectify injustice and protect liberty. WHAT IS THE UNIQUE VALUE OF THE EUROPEAN UNION? In essence the European Union is a law or rule based system. Common rules, interpreted and enforced consistency are the bedrock upon which freedom can be built, in trade and in daily life, between nations and between individuals. common rules on matters as diverse as food safety, aviation, intellectual property protection, and consumer protection in the purchase of financial products. The fact that the rules are now common to all, means that food can be sold, airline competition facilitated, patents respected and savings protected across the whole 28 countries of the EU. It is really important for a business that seeks to sell goods and services across Europe to know that the standards the goods must comply with will be the same everywhere and that these rules will be enforced and interpreted in a consistent way in every EU country. Without the EU, none of this would be the case. The fact that the rules can be amended in a single legislative process for all members saves a lot of time. So too does the fact that they will, if necessary, be enforced effectively and uniformly across Europe, under the supervision of the European Commission. The fact that these common rules will also be interpreted, in a uniform way across the whole of Europe, under the aegis of the ECJ, also avoids all sorts of confusion, haggling and duplication. The ECJ, and the rules it interprets in a consistent way, are essential to the freedom of EU citizens to live, work and trade across the whole Union. Without the ECJ, the European Union would just be a temporary diplomatic expedient, of no durable value. The Brexit demands of the UK must not be allowed to change that. Without commonly interpreted rules, there is no lasting freedom. The UK is turning its back on that. Its position is internally self contradictory. “a strong supporter of the rules based global trading system”. Yet the UK is now leaving a rules based system, the EU, supposedly because it want to “take back control”. It wants to write its own rules for itself. That is quite simply inconsistent with supporting a rules based global system which, by definition, means GIVING UP some control. 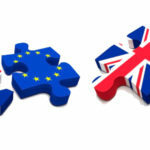 As a non member of the EU, the UK will now have to negotiate a new deal on each topic now covered by an EU agreement, then agree a separate procedure for future amendments to that deal, and agree procedures for enforcing, and for interpreting the deal. This will take up a huge amount of time, unproductively for everybody involved. When the Brexit negotiations become fraught, as they undoubtedly will, UK and EU negotiators will need to remind themselves that we have more in common than divides us, and that we each live, close beside one another, in a continent whose global weight is much less than it was 100 years ago, and will become lesser still, as time goes on. At the other end of the Eurasian land mass, China will double the size of its economy in the present decade. It adds to its GDP by an equivalent of the entire GDP of Turkey….every year. China has ambitious plans for its global role, and China has the executive coherence and long term perspective, necessary to realize those goals. China is thinking in ambitious geographic terms .It is promoting global connectivity through its “One Belt, One Road” concept. The UK’s access to that Road, across the Eurasian land mass, runs entirely through the EU. The access of Ireland to that trans Eurasian Road runs mainly through the UK. Brexit will put roadblocks on the road in two places. Not clever. I will now turn to the internal dynamics of the EU itself, as I expect they will evolve in coming years, without Britain. The European Commission has produced a White Paper which sets out five, rather stylised and artificial, scenarios. The last option, doing much more together, does not have public support at the moment, but that could change suddenly, if some external shock made it easier to overcome the normal resistance and inertia. Among the activities envisaged, under this option, are a single European anti Terror agency and a single coast guard. These are not farfetched ideas, and indeed may be inevitable if passport free travel across member state boundaries is to continue. The option of doing nothing but maintain the Single Market, is not very helpful in my view. In truth, it is almost impossible to agree where the Single Market ends, and other policies begin. The Commission is correct in saying that ”Single Market Only” option would make it more difficult to conclude more or deeper international trade agreements, because differences in some standards would persist within the EU. The option of “doing less more efficiently” is not very different, and is meaningless in practice. According to the Commission paper, it would involve pursuing Single Market integration vigorously, but going slow on regional policy, and on social and public health policies that do not relate directly to the Single market. This option may appeal to net contributor countries, like Germany and perhaps Ireland, but would not appeal in Central and Eastern Europe. It may appeal to outsiders like the UK, Norway and Switzerland as it might reduce the fee they would pay for access to the Single market. But it would be strenuously resisted by many poorer EU states. The idea of allowing some countries to “go ahead without the others” is one that has been around for a long time, and is actually provided for in Title IV of the EU Treaty governing what is known as “Enhanced Cooperation”. While this provision has not been much used, it could be said that the euro, and the Schengen border control free zone, are already forms of enhanced cooperation. I do not see Enhanced Cooperation as an ideal way forward for the future, because it dilutes the democratic unity of the EU, which is already put under enough strain by the division between Euro and “not yet Euro” members. Many will ask why a member state should have the same vote in the European Parliament, on a policy in which it is taking no part and making no financial contribution, as the MEPs from countries that are doing both. The Commission saw this scenario as allowing some countries to go further ahead on defence cooperation while other members might hang back. Ireland will need to give serious thought to European defence questions. It has to be recognised that influence of a member state in the EU will be commensurate with its commitment to and solidarity with other members. A country that only wants to take part in policies from which it will gain, while going slow on things that might involve costs for it, will have less influence in the EU, and might not receive solidarity when it needs it, but it is hard to quantify this. Too much “Enhanced Cooperation” could eventually lead to no cooperation. Putting it another way, an EU which encourages some countries to go ahead while others hang back could quickly divide between” policy maker” countries, and “policy taker” countries. This is why Ireland has traditionally resisted a “two tier” Europe. All in all, I felt the Commission’s options paper, while a start, requires a lot more work. 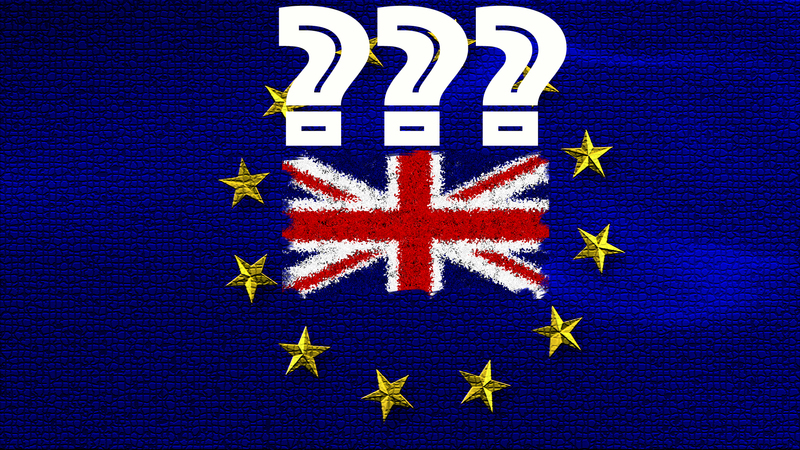 DOES THE EU PUBLIC KNOW WHAT IT WANTS FROM THE EU? Public opinion also needs to be taken into account, in working out the priorities of the EU. But the problem is that public opinion varies widely between countries. Asked in April 2016, just before the UK Referendum, what they wanted the EU to prioritise, the public came up with quite different answers in different countries. Also in a poll last year, there were wide differences in the extent to which voters in different countries felt their voted counted for something in EU decision making , ranging from 70% of Danes feeling their vote counted in the EU, through 45% of Irish people, down to a mere 20% of Italians and 17% of Cypriots and Estonians. 80% of Greeks wanted the EU to do more to fight terrorism, and 69% of Italians did, but only 33% of the Dutch and 44% of Danes. 69% of Swedes and Spaniards wanted the EU to do more about the Environment, but only 28% of Estonians did . EU action on Protecting External Borders was a priority for 73% of Greeks, but only 43% of Irish people and 35% of Swedes and Latvians wanted the EU to prioritise it. Overall and on average, 44% of EU citizens felt the EU should be doing more about Security and Defence. But, to my surprise given their proximity to Russia, only 30% of Latvians and Estonians, and 25% of Danes, did so. In contrast, 60% of Greeks , 56% of Italians and French, but only 41% of Germans felt the EU should do more on Security and Defence. This would suggest that , a year ago anyway, there was not an overwhelming public demand for an EU defence policy. But that was before the election of Donald Trump. Finally, given the low oil prices at the time, it is perhaps not surprising that so few European felt the EU should be doing more on Energy supply issues. Yet a Single Energy market was identified as a priority issue by the European Commission even in their “Continuing as we are” scenario I mentioned earlier. Given that Ireland is so completely dependent on, what will soon become a non EU country, for access to the international electricity grid, it interesting to note that support for a common EU policy on Energy Supply was below the EU average in Ireland, at a mere 33%. I expect that that will change. + Is it not a strange commentary on O Connell’s obtaining for Catholics the right to vote in Parliament in 1829, that none of his Irish Ulster co religionists, who are entitled to do so in 2017, will take their seats at a time when vital legislation, affecting Ireland, is to be decided in Westminster in a few days time? 2.) One of O Connell’s great causes, the ending of slavery, arose from his belief in the dignity of every defenceless human being. + As a society, do we respect that dignity today in our prisons? Do we respect the dignity of people before they are born, as well as we respect it after they are born? At what age do human rights commence, and end? 3.) O Connell mobilised people to come together to express themselves through peaceful political agitation. He was the first leader ever to encourage all the Irish people to stand up publicly and take responsibility for their future. + Is collective and rational political deliberation now being replaced by mob rule through the social media? Are we protecting people’s rights to say unpopular things, and to question modern orthodoxies? Do most voters think critically about the foreseeable consequences of their own choices for society as a whole, or do they prefer just to blame politicians if things do not work out afterwards as promised? 4.) European states have taken on substantial liabilities both to financial markets, and to their own people. + Should we have a national balance sheet as well as a national budget, so people will see clearly the obligations that will have to be met over the next 40 years? 5. )The Brexit negotiation could prove to be one of the most traumatic political conflicts of recent years, and could dig a physical and psychological trench between us, and our immediate neighbours. + Can we do more to mitigate the build up of pressure in these negotiations, by lengthening the Treaty based negotiation time line from two years to ( say) six years, allowing the UK to remain in the EU until the end of that period? If the UK was still in the EU at the time of the next European Elections in 2019, might not the Euro Elections not allow UK voters take a more considered view of their Brexit choice? 6.) I have summarised the options for the future of the EU put forward by the Commission. I am not aware that these options have been debated seriously anywhere. We are a long way away from developing a common EU wide public opinion that would support positive programme of further EU integration. + Does this not reveal a structural flaw in EU democracy? Should voters be able to vote for a government of the EU, just as they vote for a government of their own country? Is the shift in the power of initiative in the EU away from the Commission in favour of the 28 Heads of Government really helping the EU define a common policy that will appeal to voters across national boundaries? The relentless news cycle, speeded up by instant communication, does not allow for the type of reflection and deliberation on public issues that was possible in O Connell’s time. That is why we should stand back and ask questions, like those I have just posed, at a summer school like this. It is unfortunate that the United Kingdom government decided to trigger article 50 , without first working out, around the Cabinet table, what sort of relationship the UK could reasonably expect to have with its neighbours after it had left the EU. It is true that Mrs May presented a wish list in her Lancaster House speech. But this list was, and is, impossible to achieve because it took no account of WTO rules, and of the fact that commerce can only be free ,if the rules governing it remain reasonably uniform. She said that, on the day it leaves the EU, the UK will retain all the then existing EU rules for goods and services, but would be free change them, by Act of Parliament or by legal reinterpretation from then on. This implies a gradual, surreptitious, hardening of the border in Ireland, as UK standards begin to diverge from EU standards. To the extent that the UK diverges from EU standards, the UK businesses will have to apply two sets of standards, one for the UK market, and another for the 45% of UK exports that go to the EU. Once the UK has left the EU, goods, coming into the EU (including into Ireland), from the UK will also be subject to checking under “Rules of Origin” requirements, to see that they do not contain impermissible non UK content. For example, there might have to be checks that UK beef burgers do not contain Brazilian beef. These “Rules of Origin” checks will involve bureaucracy, which will be especially onerous for small firms. One study estimated that the need to apply “Rules of Origin” checks could reduce trade volumes by 9%. The EU/ Canada trade Agreement has 100 pages on “Rules of origin” alone. As far as imports into the EU at Dundalk or Lifford are concerned, it will be Irish, not UK, officials who will have the distasteful job of enforcing the border. Irish officials will have to check whether EU safety, sanitary, origin and other rules have been met. This is something being imposed on us, as an EU member, by a UK decision. It will not be done cheaply. A House of Lords Committee said that “electronic systems are not available to accurately record cross border movements of goods”. If the UK government knows otherwise, it should produce the evidence…without delay. Even if a light or random system of checking at the border or in ports is imposed, the biggest costs will have to be met by businesses, before they get anywhere near the port or the border. The preparation of all the extra compliance documentation will deter many smaller firms from exporting at all. For example it has been estimated that the number of customs declarations that UK firms will have to prepare and present will jump from 90 million a year to 390 million once the UK leaves the EU. Irish firms will have a similar extra burden in their dealings with the UK. Theresa May was remarkably unclear, in her Lancaster House speech, about the sort of relationship she wanted with the EU Customs Union. She wanted bits of it, but not all of it. This would run into immediate difficulties with the World Trade Organisation (WTO). The WTO works on the basis of non discrimination, or the so called “Most Favoured Nation” principle. This means that any concessions the EU Customs Union might grant to the UK, as a non EU member, would have to be extended by the EU to ALL the EU Customs Union’s trading partners. That is unless the special UK concessions cover “substantially all” trade between the UK and the Customs Union. The UK will have to be either ”substantially in”, or “substantially out”, of the Customs Union. Which does Mrs May want? She should be able to answer that question by now. Many suspect the UK wants to leave the Customs Union so it can revert to the cheap food policy, that it had before it joined the common Market. To prevent the undermining of the EU Common Agricultural Policy that would flow from that, Ireland would then be obliged to collect the EU Common External Tariff on products like beef, milk, lamb, confectionary and other food products crossing our border, or arriving at our ports, from the UK. Farmers, and investors in the food industry, need to know what sort of agricultural policy the UK will choose after it leaves the EU. Only then can Ireland know whether it will have to collect these very high EU tariffs at the border, and whether the entire Irish food industry (on both sides of the border) will have to be diverted to other markets. The Democratic Unionist Party, which supported Brexit, and which now dispensing gratuitous advice to the Irish Government on EU matters, should tell us exactly what sort of UK agriculture and food policy it expects post Brexit. It is now in a good position to get an answer to that question from the UK government. Its own farming supporters would like to know. The DUP is not the only party that needs to examine its position. In September the UK Parliament will begin debate on the European Union Withdrawal Bill, which will allow for UK standards of goods and services to diverge from existing EU standards, thereby deepening the Irish border. Thanks to the abstentionist policy of Sinn Fein, there will be no Irish Nationalist MPs in that debate able to put forward amendments to mitigate the hardening of the border that this legislation will allow. Until this year, 3 SDLP MPs would have been there , but now, when their presence was never more necessary, the voters have replaced them by Sinn Fein MP’s, who will draw their salaries, but will stay away when decisions have to be made, leaving the field to the DUP. Sinn Fein should remember that the Irish people, on both sides of the border, accepted the Good Friday Agreement in a Referendum in 1998, and that removes any “nationalist” argument Sinn Fein might have had for not taking their seats. If Sinn Fein can shake hands with the Queen, if they can take their seats in Stormont, they can take their seats in Westminster! There is work for them to do there now.